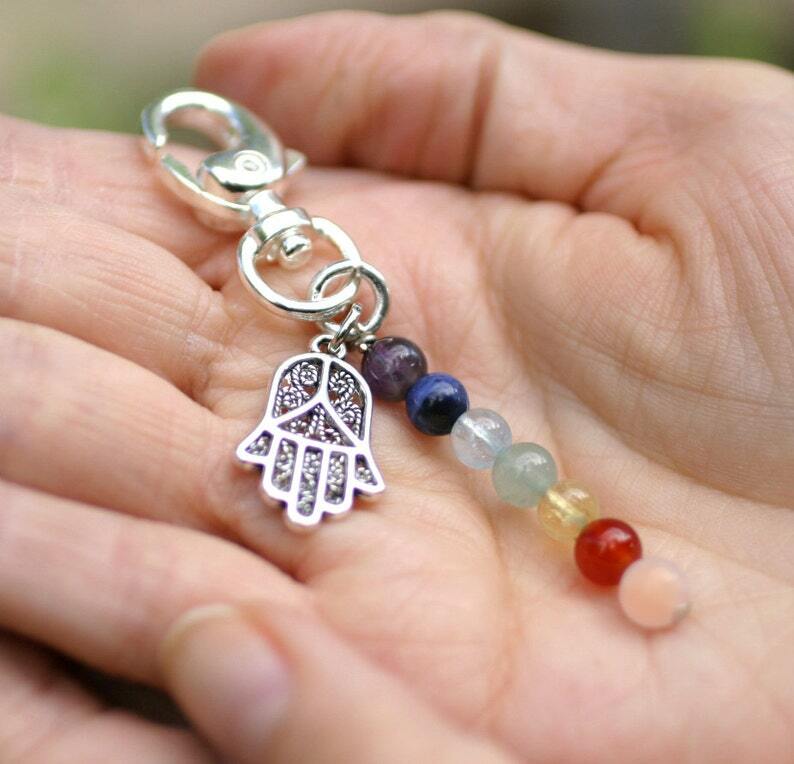 This 7 Chakra fertility keychain with Hamsa charm is the perfect gift for a new bride, someone you know who has been trying, or a gift for yourself. Perfect for people who cannot wear jewelry at work, or simply do not like to wear metals. Beautiful real amethyst, sodalite, aquamarine, green aventurine, citrine, carnelian and quartz are accented by the Hamsa hand charm. The 7 Chakras represent flowing energy in our bodies. It is very important to keep this flow moving, with no blockages. "Hi, Just wanted to let you know that I'm pregnant and due next week! 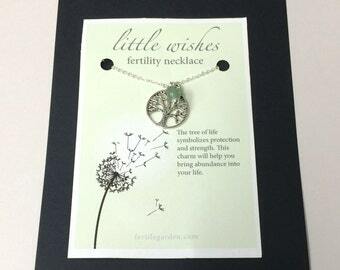 I wore my bracelets throughout my IVF treatments. They gave me strength when I felt like everything was out of my control. Thanks so much"
Love it! Love the message that comes with it. Thank you.